Wang Li Baranova Irina I. 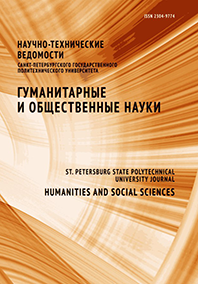 The article is devoted to the question of the joint educational programs of Chinese Universities with Russian Universities. The theme of the article is important because of the increasing cooperation between Chinese and Russian Universities. The article considers history, current status and trend prospects of cooperation in the field of education between China and Russian Federation. The articles describes intensive cooperation between Peter the Great St. Petersburg Polytechnic University and Jiangsu Normal University and the result of this cooperation – creation of Chinese-Russian Engineering Institute. International educational program designing, comparison, analyzing and synthesis are the principle methods of studying this question. The article gives recommendations for effective realization of Mutual Educational Programs, reveals the specific features of training according Mutual Educational Programs in China. The article can be used in creation contemporary Network Educational Programs of higher professional education.